We have recently introduced the very exciting and fun game of “Body Bowling” to our ever growing list of fun activities here at the Kilkenny Activity Centre. 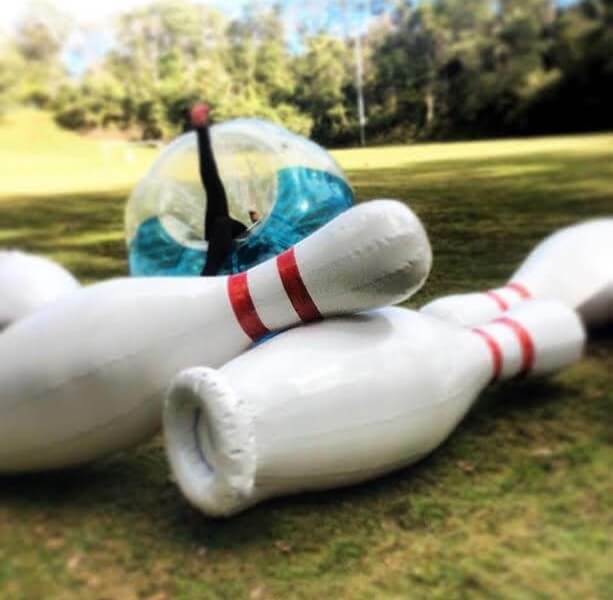 While in a bubble, participants must roll themselves towards a sea of inflatable pins to see who can knock the most. Just like regular bowling except you are the bowling ball!! Give us a call for pricing and details 0862611567.